Portfolio for Glass Dragon Software, Inc. 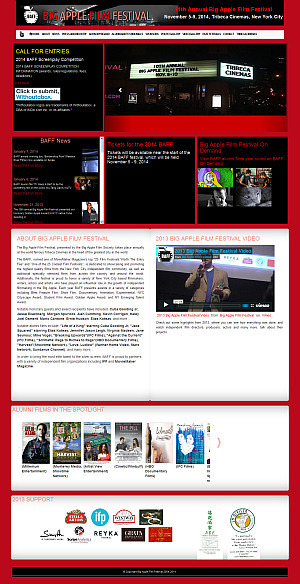 Selected Examples of Web Design Work done by Glass Dragon Software, Inc.
Big Apple Film Festival: An informational website for the annual Big Apple Film Festival, New York, NY. This is site is fully responsive using Bootstrap Twitter. Niagara Track & Field Hall of Fame and Virtual Museum: Home of the Niagara Track and Field Hall of Fame, Rochester, NY. 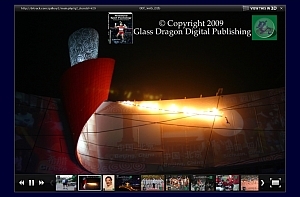 Glass Dragon Digital Publishing: Your source for high quality e-Articles, e-Books, and printed books on Athletics (track and field) and related subjects by outstanding coaches. Glass Dragon Digital Publishing Shopping Cart: A custom shopping cart for Glass Dragon Digital Publishing. The shopping cart from which e-Articles, e-Books, and printed books on Track and Field (Athletics) for coaches and athletes can be purchased. Many articles are available free of charge. Dr. Track Photo gallery - main page: A custom photo gallery The gallery contains the photos from the book "Periodized Sport Psychology - Building the Bulletproof Athlete" by Brian Risk. Dr. Track Photo gallery Slide Show: The gallery includes a slide show feature for the photos from the book "Periodized Sport Psychology - Building the Bulletproof Athlete" by Brian Risk. Dr. Track: A top resource for track and field information. This is an informational website for track and field enthusiasts, athletes, and coaches. Contains coaching articles, a Hall of Fame, and links to many track and field related websites. 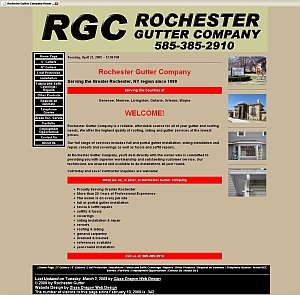 Rochester Gutter Company: An informational website for a gutter company who can install and repair of any type of gutter and related components. Contains a portfolio showing samples of gutter work done by this company. The company's owner provides content for the website. 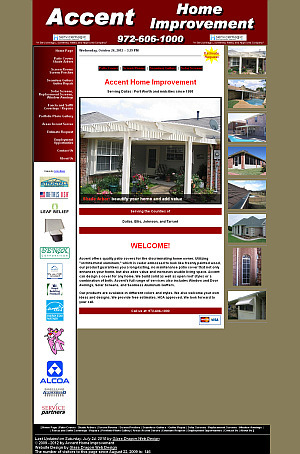 Accent Home Improvement: An informational website for a home improvement company, located in Dallas / Fort Worth, TX, that can install and repair of any type of home improvement needs. The company specializes in Patios, Screen Porches, Screen Rooms, Gutters, and Windows. Contains a portfolio showing samples of work done by this company. The company's owner provides content for the website. 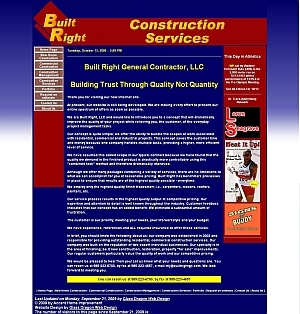 Built Right Construction Services: An informational website for a general contractor in the Greater Rochester, NY area. Contains a portfolio showing samples of work done by this company. The company's owner provides content for the website. McGill University Track and Field: Home of the Men's and Women's Cross Country and Track and Field program at McGill University, Montreal, Quebec, Canada. 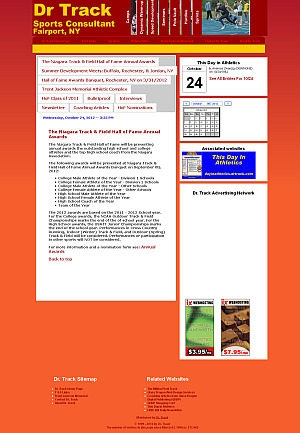 Developed and maintained the site from September 2005 through September 2012. University at Buffalo Department of Chemistry: The website for the Department of Chemistry at the State University of New York at Buffalo. This is a very large (over 400 page) informational web site describing all aspects of the Chemistry Department at the University at Buffalo. The site is very complete and includes web pages for the students, faculty, staff, faculty research programs, course descriptions, degree requirements, research symposia, and more. This site was redesigned by the Dean's office in Summer of 2009.